Recently we had a visit from a group of Japanese University students. We asked two Year 5 students to share a reflection about the visit. We love being able to connect with other people from around the world! 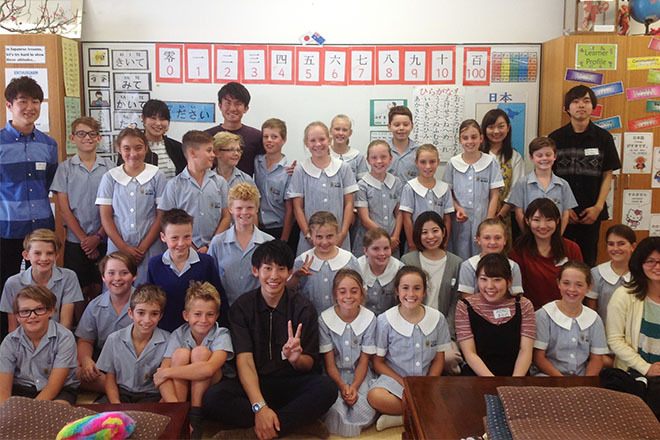 Japanese students from Hiroshima University visited SPW for classroom observation over the past two weeks. They joined 5DW and 4AP’s Japanese lessons. It was really cool to share our lessons with them so they could see the way we enjoy learning Japanese. They learnt English from us and we learnt lots of interesting things from them. 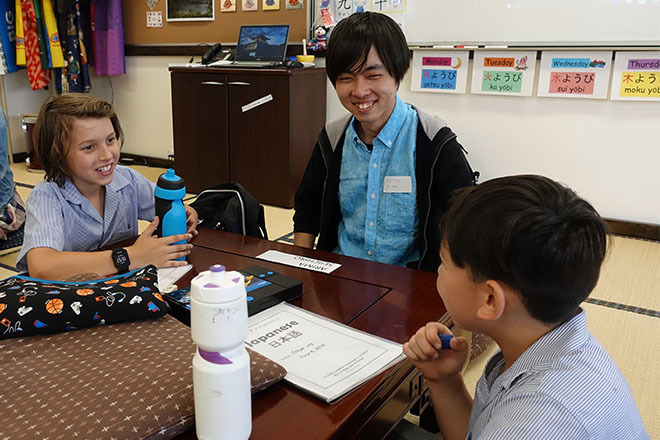 It was great when the Japanese students presented to us about popular Japanese cultural activities such as origami, the hand chanting game and also the karuta card game to practice Hiragana. We were impressed by their effort to speak English and that inspired our Japanese learning. They were so friendly and it was subarashi (wonderful) to meet people from Japan! 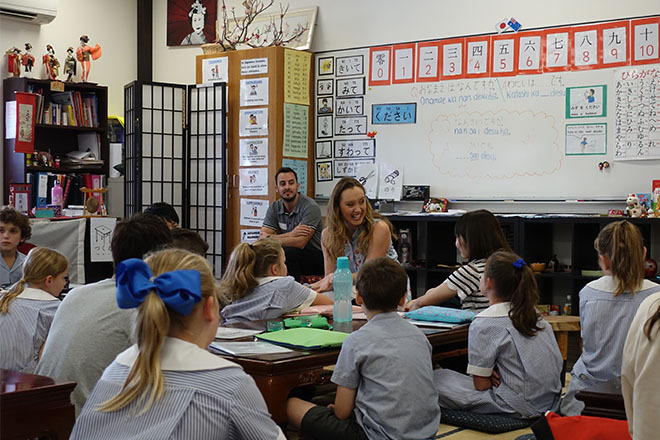 If you’d like to know more about our Japanese Program here at SPW, please contact Skye Baldacchino.